Toronto-based fashion brand Canada Goose, known particularly for its warm outerwear, has announced that it will open six more standalone stores in fall/winter 2019 as it continues to expand its direct-to-consumer business that is said to be more profitable than its wholesale operatons. Three of the six stores will be in Canada, including units in Toronto, Edmonton and in Banff, Alberta. The three international stores will be in Milan, Paris and in suburban Minneapolis. In Toronto, Canada Goose has announced that it will open a storefront at CF Sherway Gardens in Toronto’s western suburbs, in a 2,560 square foot retail space between the recently opened Tesla and RYU stores in the mall’s 2015 north expansion wing. It will be the second standalone Canada Goose store in Toronto — in the fall of 2016, the company opened its first store in the world at Toronto’s Yorkdale Shopping Centre in a 4,500 square foot space in a Nordstrom-anchored expansion wing. In Edmonton, Canada Goose will open a storefront at the popular West Edmonton Mall in a retail space exceeding 7,300 square feet, next to the mall’s Michael Kors Men’s store. The large Canada Goose store will feature a ‘cold room’ where visitors can try on parkas in sub-zero temperatures, and will be the second Canada Goose store in the country to feature such an installation, following the opening of a Montreal Canada Goose flagship in November of 2018. Canada Goose will be one of the new retailers in West Edmonton Mall’s up-and-coming ‘luxury area’ which houses Tiffany & Co. and Rolex and, coming this summer, a large Louis Vuitton store. Other high-end brands are said to be looking at spaces near Louis Vuitton as a high-end cluster of retailers develops on the mall’s upper level. In beautiful Banff, Alberta, Canada Goose will open at the Cascade Shops (formerly ‘Cascade Plaza’) on Banff Avenue in the town’s downtown core. The store is expected to become a tourist attraction in the already busy community that features a row of prosperous shops over the span of about three blocks. The Cascade Shops has seen an interesting range of retailers come-and-go over the years, once housing storefronts for Louis Vuitton, Polo Ralph Lauren and MCM. Canada Goose already operates stores in Toronto, Calgary, Vancouver and Montreal. 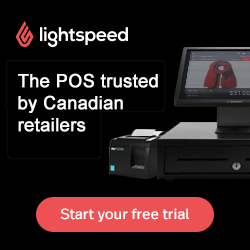 The 4,500 square foot Toronto store at Yorkdale Shopping Centre was the first for the company when it opened in October of 2016, and was followed by a 3,984 square foot location at CF Chinook Centre in Calgary in the fall of 2017. In November of 2018, Canada Goose opened a 4,018 square foot store at Vancouver’s CF Pacific Centre and in the same month, opened an 8,000 square foot Montreal store at 1020 Ste-Catherine Street West, which is currently the brand’s only street-front store in Canada. More Canadian Canada Goose stores are expected to open in Canada. While not confirmed by Canada Goose, industry insiders have said that the brand has secured a 5,000 square foot space at CF Toronto Eaton Centre which is currently occupied by an Apple store — Apple will move down one level into a space that will be about triple that size. As well, Ottawa’s CF Rideau Centre was said to have been in negotiations for a Canada Goose storefront, though neither the retailer nor the landlord has confirmed either location. As part of Canada Goose’s announcement this week, the company will open international stores in Milan, Paris and at the Mall of America in suburban Minneapolis, Minnesota. All three will feature ‘cold rooms’ to test parkas in sub-zero temperatures. The Milan store will be located on upscale Via della Spiga that will “combine design elements of both Canadian and Italian heritage,” according to the company. The new Paris flagship will be located on Rue St. Honoré alongside some of the world’s most prestigious retailers. The Mall of America store in Minneapolis will serve customers in Minnesota, known for its chilly winters. Other international storefronts for Canada Goose include US-based units in New York City, Boston, Chicago and Short Hills NJ, as well as locations in London, Tokyo, Hong Kong and Beijing. The company is opening stores in an effort to control brand messaging, while offering expansive product offerings. 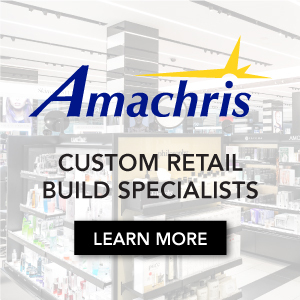 "Success in retail is about more than just selling things – it's about helping people find the perfect product, while delivering exceptional service and creating a memorable experience. Canada Goose stores deliver on that and more," said Dani Reiss, President and CEO, Canada Goose. "In addition to growing our footprint in Asia, expanding in Europe and broadening our presence in North America enables our fans to explore all of our collections in a unique and engaging environment and discover the story behind our products, unfiltered." Canada Goose appears to be targeting some of the world’s fashion capitals with its standalone units, which have proven more profitable than its wholesale accounts. Some of Canada Goose’s stores are said to be selling tens of millions of dollars of product annually, and it’s making some wholesalers nervous (the Yorkdale unit sells more than $60-million according to sources). As Canada Goose continues to expand its network of standalone direct-to-consumer stores, some of its multi-brand wholesalers have told us that they are concerned that they could lose the lucrative Canada Goose business, which for some retailers makes up a substantial portion of their overall sales.